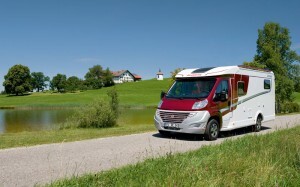 Campervans: Luxury and Relaxation Galore - Zion Motorhomes Ltd - Authorized Distributors for Luxury Motorhomes, NZ. There is nothing like a road trip with a group of mates for a fun, bonding life experience that will bring you closer together. It is a great chance to relax and see things you would not normally get to see, with people you care about. A campervan holiday with your friends is the perfect opportunity to take advantage of the freedom of your youth. But does it mean that a motor home is only for the young people? No, certainly not. Campervan travel is extremely popular amongst people over the age of 55 also, especially the retirees. It's definitely the perfect time to relax in life, and nothing could be more relaxing than a campervan holiday with your dear friends, family and close relatives. A campervan holiday is a chance for a family to experience places, people and events together as a unit. It is a chance for parents to show places to their kids, and it is also an educational opportunity for the kids like no other. Moreover, it is a bonding time for families who can get a chance to enjoy one of those holidays that will stick in their minds forever. A campervan holiday is a way not just to see a particular region or country but to experience it too. See all the big tourist attractions, and also the places in between. Part of the appeal of backpacking is that you can just get up and go- you are your own master. Take all the necessary things that you need in your journey and set off for any destination. A campervan complements that appeal perfectly, allowing you to travel at your leisure, without a care for anything else. New Zealand is renowned as a laid back country due to its low population with its clean green image and extensive open spaces. Visit these wonderful spots for a relaxing campervan hire holiday in scenic New Zealand. There are plentiful locations for a relaxing holiday in New Zealand due to its proximity to the sea, sand and surf. Some of these locations are Tolaga Bay (which is New Zealand's longest wharf and an ideal place for fishing), Coopers beach (with a great view of dolphins), Fiordland (the best place for people to go for hiking), Kaikoura. So, relax and enjoy the solitude of spending time with the person or people that really matter in your life, and enjoy seeing those places you've always wanted to see in great comfort and luxury. All this is done at your own leisure, and you get exceptional value for money with a campervan holiday. About Company: Zion Motorhomes Ltd provides a range of Premium, Luxury Campervans and Motorhomes for Sales. We offer various size and types of vehicles to match your requirements. So start living your dream today! Enjoy Exploring New Zealand at your own comfort! For more information on buying Campervans, Motorhomes or Caravans in New Zealand visit: https://www.zionmotorhomes.co.nz/ or email us at info@zionmotorhomes.co.nz or call +64 2 1227 6662 and we will get back to you with the best offers. Don't forget to ask for a Test Drive at our head office in Auckland.